This weekend, social media was going nuts over a portrait of former President Barack Obama. 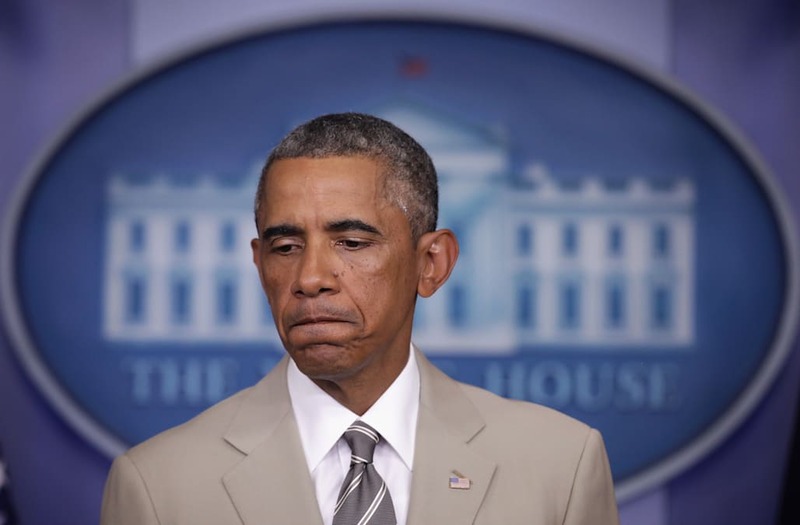 The image, which shows the president in a tan suit that he had gotten flack for wearing during his presidency, was making the rounds on Facebook as people claimed that it was the official presidential portrait and speculated about why that suit, of all suits, was the one that Obama chose for the official look. However, it turns out that portrait, which was painted by Dutch artist Edwin van den Dikkenberg, is not the official one, though it is for sale. "I'm very pleased to hear that my portrait of Barack Obama appeared on Twitter!" the artist told BuzzFeed News. "I wish I had the opportunity to paint the official portrait but that's not the case." "As an artist I am always hoping for something like this to happen! And as a professional portrait painter it would be a great honor to paint the president," he added. Blake Green, who posted the image on Facebook, where it went viral, admitted that he didn't find out the truth until after it had already exploded on social media. "After I found out that it actually wasn't, the photo had gone viral," he said, explaining that he had posted it because he read on his Facebook News Feed that it was the official portrait.